Psychotherapy (or EAP) incorporates horses experientially to assist people in reaching their emotional growth & learning goals. 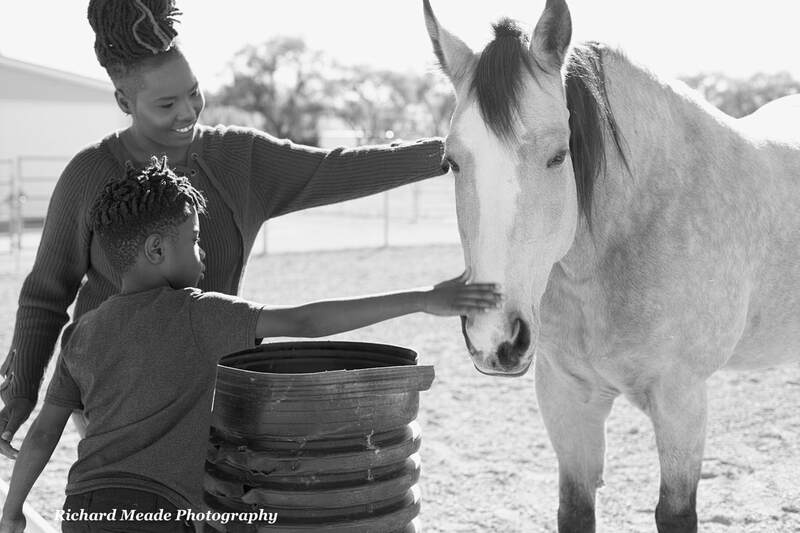 Equine Assisted Psychotherapy is a wonderful compliment to traditional talk therapy. Not only can it enhance the work already taking place in the office, it can assist those who feel stuck. It can also be a very effective stand-alone therapy. EAP is also very effective in helping children and adolescents who can sometimes struggle expressing themselves verbally. The interaction with the horses provides a unique, dynamic, and concrete experience that takes place in the moment. There is an awareness achieved in working with the horses that cannot be replicated in a traditional therapeutic setting.